In 2017, BNP Paribas Securities Services partnered with Fortia Financial Solutions to rollout its INNOVA software and automate their core depositary banking processes, signalling how banks can benefit from collaboration with FinTechs. 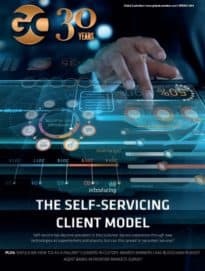 Arguably, the global securities services industry is set to face more disruption to its traditional business model over the next five to 10 years than it has ever witnessed before. This is largely due to the dramatic shift that new entrants and technologies are causing to an entrenched and slow-moving industry. There has been an influx of innovative applications and services brought about by a new generation of FinTech firms that are agile, fast-moving, and ready to disintermediate. According to a recent survey of 50 FinTechs in the securities services industry by global consultancy firm McKinsey, around two-thirds offer products for custody and asset servicing, while a massive 87% offer data and information services products. Furthermore, around a third provide value-added services that custodians treasure, such as collateral management, cash management and foreign exchange. These securities services-orientated FinTechs bring to market a variety of technologies such as robotics and distributed ledger technology (DLT) that could disrupt the structure of custodians. But do these FinTech firms represent direct competition for securities services firms? According to Réda Bouakel, CEO of Fortia Financial Solutions, “there is a clear and obvious fit between FinTechs and banks”. “FinTechs are a source of disruptive technologies while offering to the banking industry a fresh and innovative approach. Financial institutions need to reinvent themselves if they want to hold onto their role in the economy, and FinTechs can assist them as they negotiate that transition,” says Réda Bouakel. The fact is FinTech firms need the incumbent providers as much as the custodians need their technology. The McKinsey study found the majority of FinTechs are developing specialised tools and technologies for use by securities services firms, as opposed to going directly to the customer. The path towards mutualisation is also encouraging banks to invest in incremental technology and start-ups that can give them the edge. FinTechs and the financial industry have a common interest in joining forces and clubbing together to create value and come up with new ways of doing business. This cooperation is already happening and we are set to see more of it in the coming years. One area FinTechs can enhance products and services provided by custodians is in depositary banking, which has become well-known for its fiendishly complex operational processes, thin margins and manual task handling. In 2017, BNP Paribas Securities Services partnered with Fortia with an eye to rollout its INNOVA software in order to improve operational efficiency and client access to advanced data and analytics. INNOVA enables custodians to automate their core depositary banking processes, including investment compliance, cash monitoring, NAV review and fund lifecycle management. “By harnessing this momentum, custodians will be able to reinvent their business and boost profitability,” explains Réda Bouakel. There have been lessons learnt for both sides as banks and FinTechs integrate their models closer with one another. On one side, FinTech has brought about a new perspective for banks. No longer can they operate at the same speed, with the pace of change always increasing. In addition to working at a more intense level, the idea of being more collaborative with both FinTechs and rival custodians has prompted a cultural shift in order for them to both co-exist and work together. “FinTech is prompting a new way of thinking; the day you work with a start-up you have to change your approach,” says Jean Devambez, global head of digital and acceleration, BNP Paribas Securities Services. The future is bright for both FinTechs and custodians as collaboration becomes a bigger part of technology strategies. The value-creation on offer may further incentivise partnerships with start-ups, and could even potentially re-invent business models going forward.